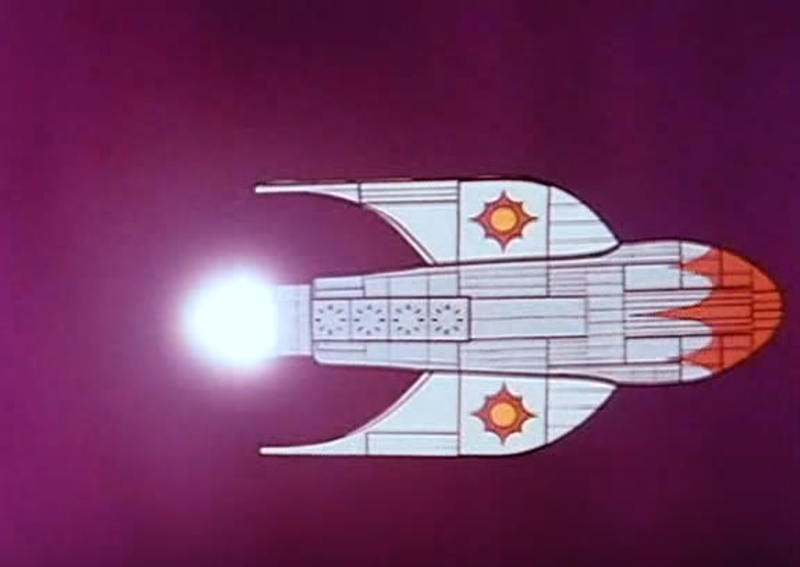 "Blasting off on a desperate mission to save Earth from the evil plottings of the tyrannical space lord Ming the Merciless. 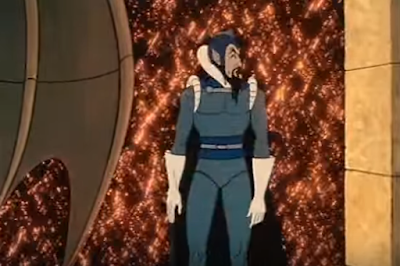 Dr. Hans Zarkov and Dale Arden have joined me, Flash Gordon, on a fantastic journey into worlds where peril and adventure await us." 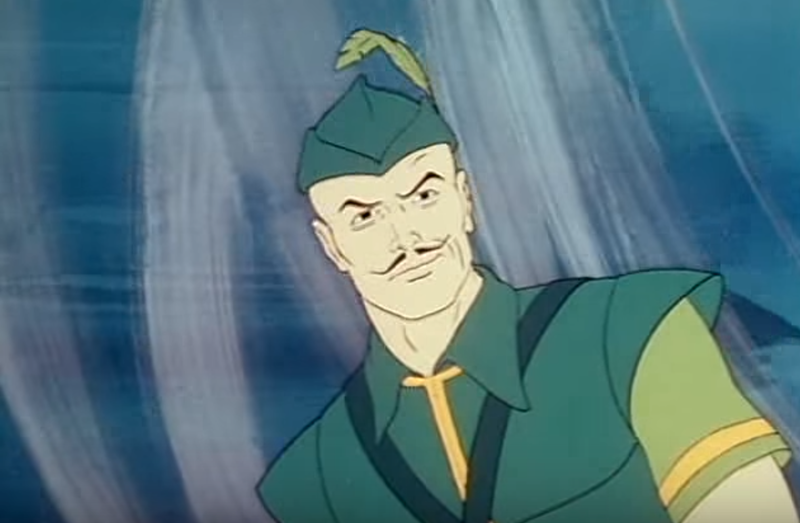 - Opening Narration to Filmation's Flash Gordon. One of my all-time favorite Saturday morning series -- especially of the animated variety -- is Filmation's Flash Gordon (1979-1982). 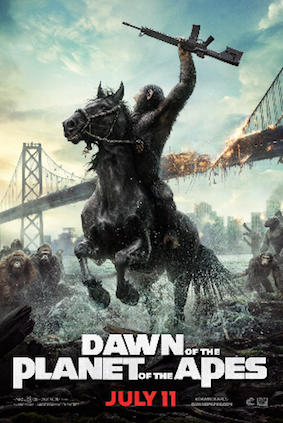 For me the series is right up there with Star Trek: The Animated Series (1973-1974) or Return to the Planet of the Apes (1975). 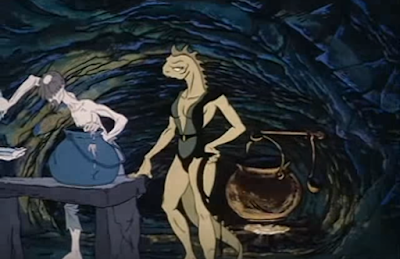 I love this series, and still remember watching it in first run, in that magical year of my youth: 1979. 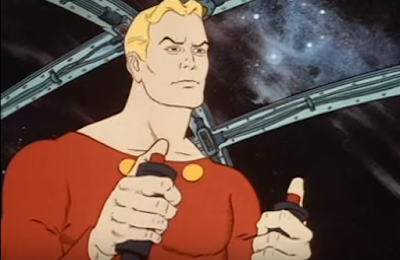 Nostalgia isn't the only reason I enjoy Flash Gordon. 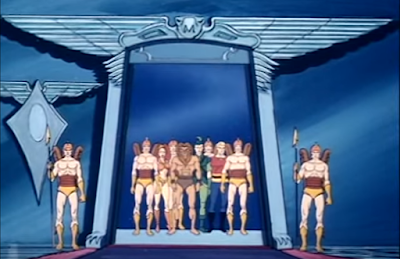 Although it was produced at the end of the 1970s (and into the 1980s), it retains both the retro-futurism of the original 1930s strips, and the themes from the franchise in its first steps. These ideas and images require no updating, at least as vetted by Filmation. 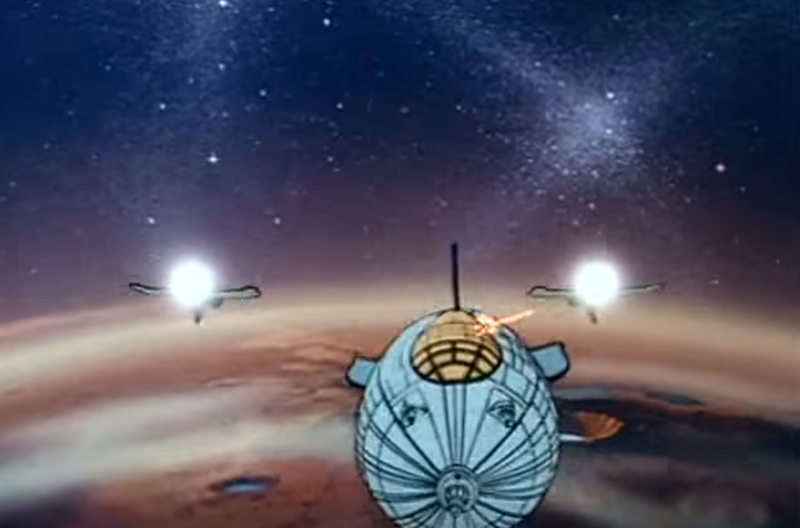 The series is brilliantly-designed and executed, even with frequent stock-footage re-use. Ming's Art Deco "Mingo" City. Filmation created this version of Alex Raymond's pulp hero shortly after the success of Star Wars (1977) in cinemas. 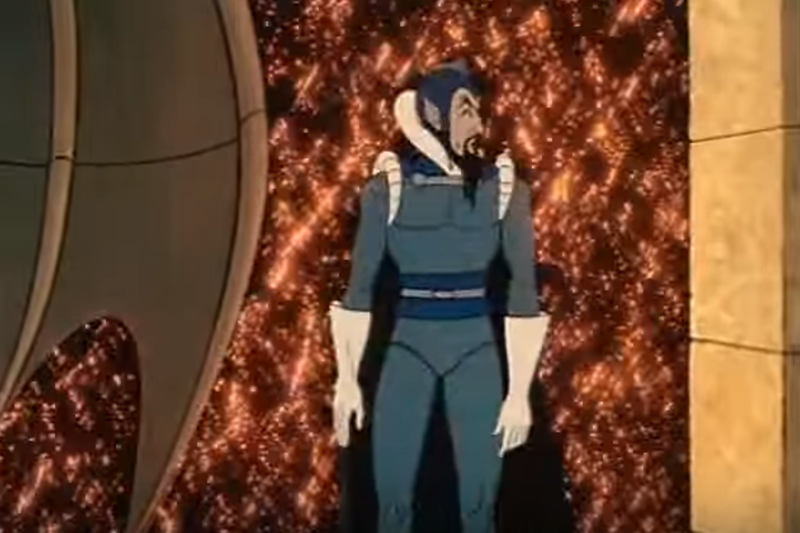 Despite this no-doubt exploitative timing, the animated series is incredibly faithful to the Flash Gordon strips and serials, both in terms of narrative and Art Deco design and doesn't obviously crib from George Lucas's space fantasy. 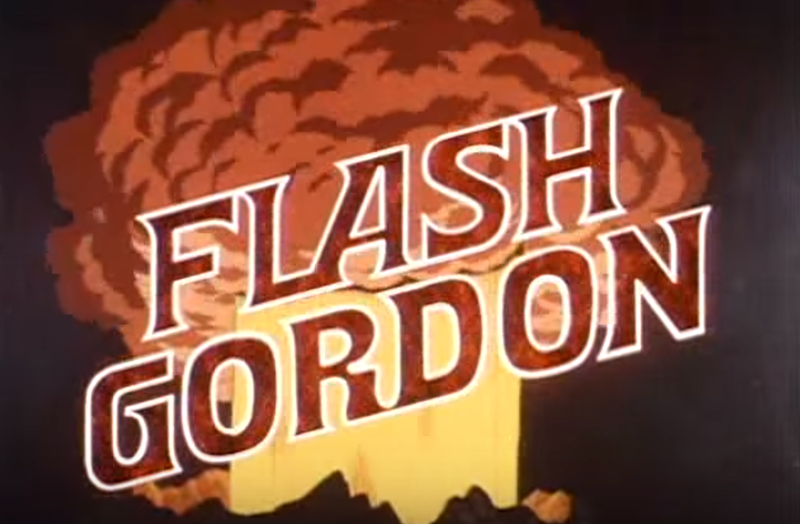 The first season of NBC's Flash Gordon dramatizes Gordon's first adventure on Mongo in serialized fashion (in chapters), going from the crash of Gordon's rocket in an alien ocean to the defeat of Ming the Merciless with the help of Mongo's now-united rulers. All the familiar characters are here. Flash (Robert Ridgley) is teamed with fellow Earthlings Dr. Hans Zarkov (Alan Oppenheimer) and Dale Arden (Diane Pershing). 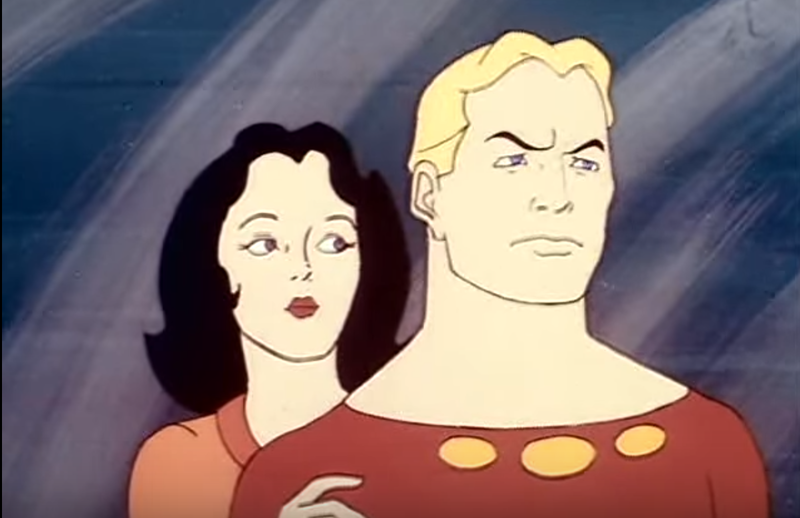 Flash Gordon and Dale Arden. 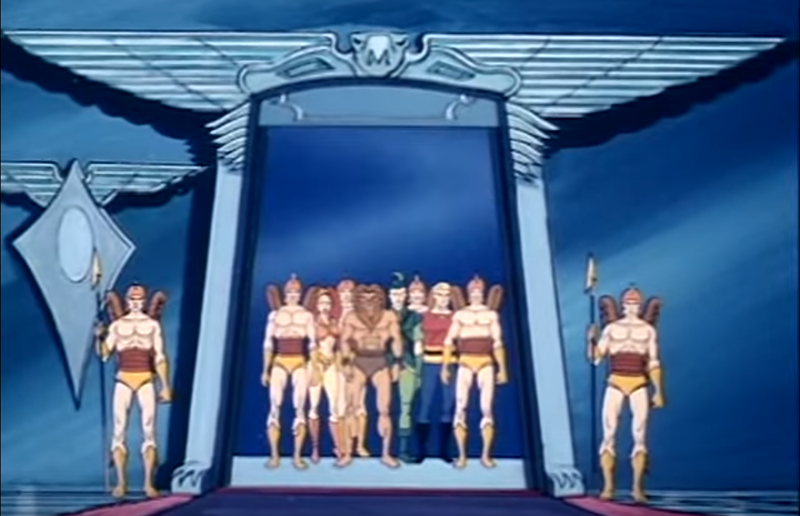 Over the sixteen-week first season adventure, these heroes battle the minions of Ming the Merciless (Oppenheimer again) -- metal men, imperial guard, lizard women, Mer-Men, and so on -- with the help of a diverse set of leaders representing different kingdoms. 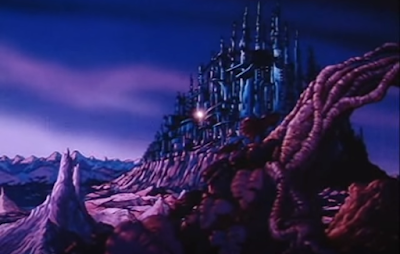 Aiding Flash, Prince Barin (Bob Holt) rules Arboria. 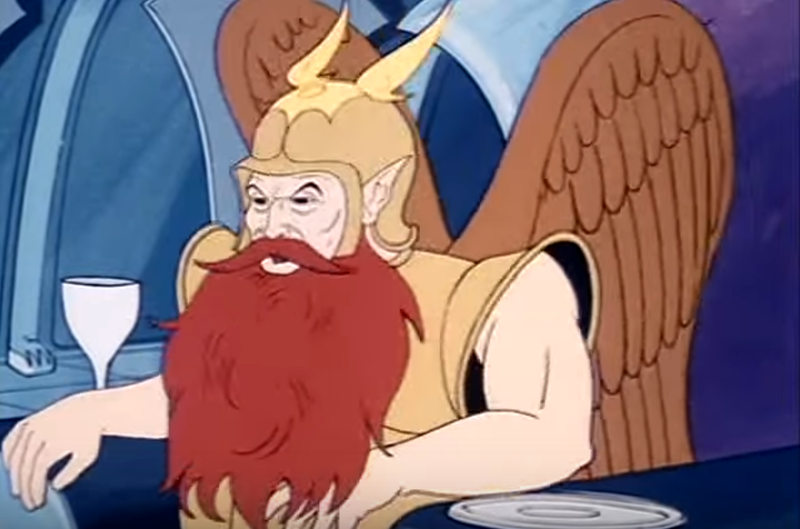 King Vultan (Allan Melvin) rules a floating city, home to the Hawkmen. Other biomes featured on the series including the frozen wasteland of Frigia, Syk, and the underwater domain, Coralia. 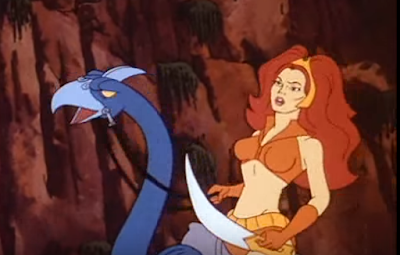 Flash's other allies include Thun, the lion man and the alluring Princess Aura (Melend Britt), who is drawn in somewhat more adult fashion than one might expect from a Saturday morning cartoon. A dazzling series in terms of its visuals, Flash Gordon features great-looking spaceships with tail-fins and wings, and a number of bizarre fantasy creatures, representing the alien wild-life of Mongo. Overall, the series remains a metaphor for the fight against fascism in Europe. 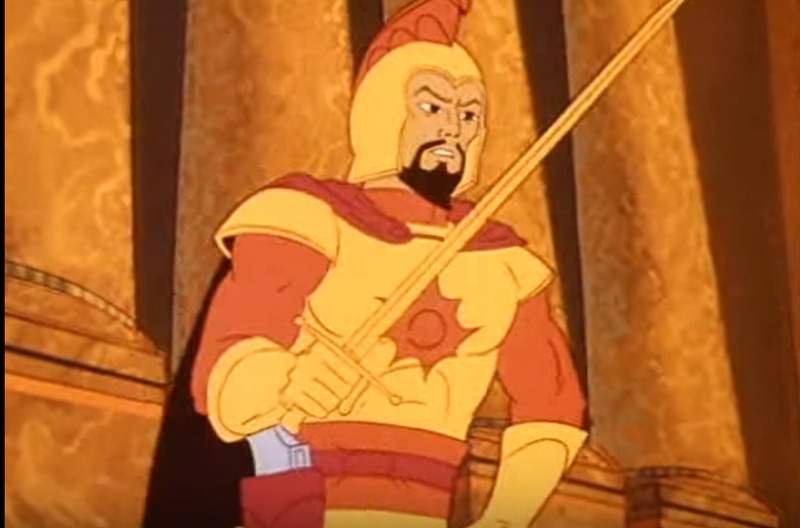 In short: an American hero (Flash Gordon) rallies the dis-united States of Mongo (representing Europe) to depose the tyrannical Ming, quite obviously a Hitler stand-in. 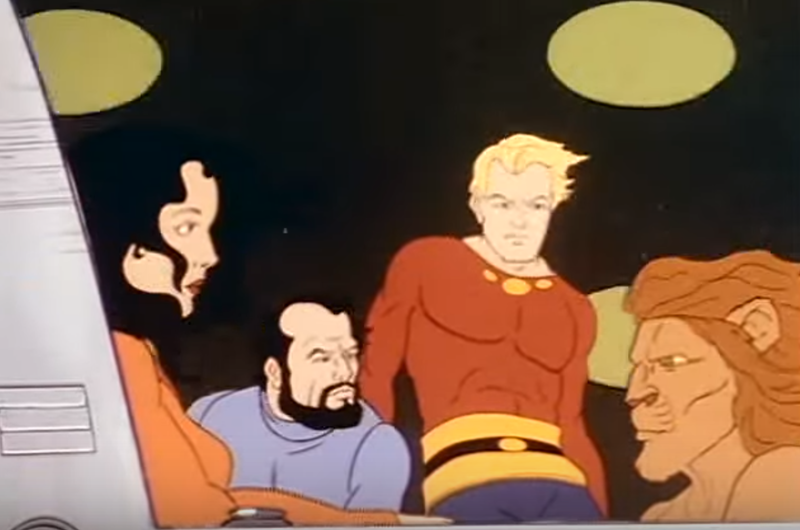 Beyond that subtext -- diverse people working together to throw off the shackles of oppression and terror -- this iteration of Flash Gordon is heavy on action and cliffhangers. The second season on NBC sees the addition of an overtly friendly kiddie character, the dragon Gremlin, and ditches the overarching serial format. For right now, however, it is time to revisit the colorful, dynamic world of Filmation's Flash Gordon. 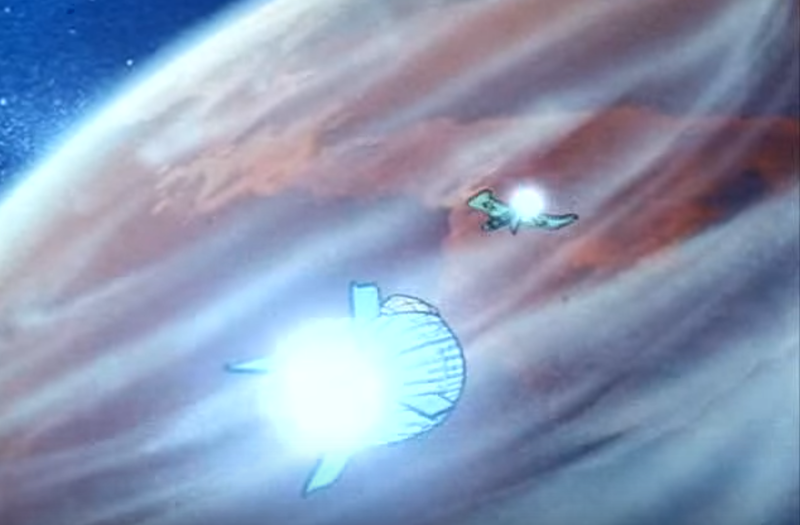 Next week: "A Planet in Peril," Chapter One. The first season was indeed awesome. 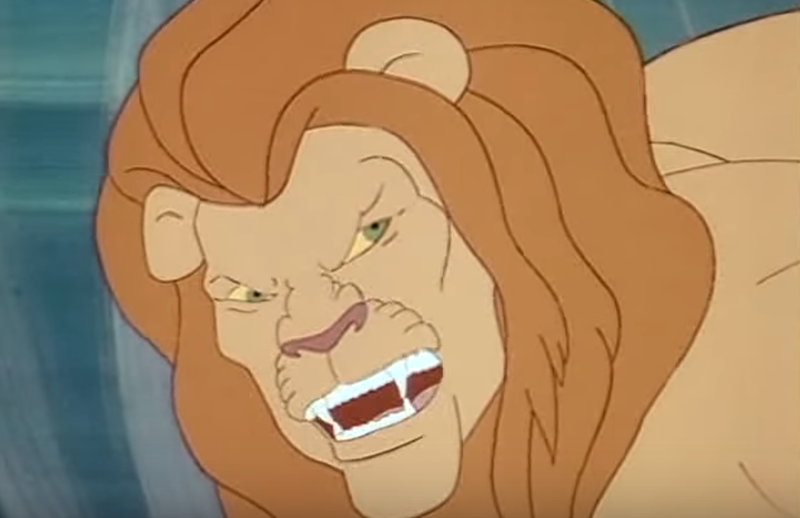 Like you, I agree that it is Filmation animation series at it's best along with Star Trek:TAS and Return To The Planet Of The Apes. I think the Filmation 1979 FLASH GORDON production designs of Ming's Aerial Navy Imperial Flyers was far superior to the the ones seen in the live-action FLASH GORDON 1980 film Ming's Ajax rocketship. Also, the 1979 Metalmen guards were better than the 1980 Ming guards. 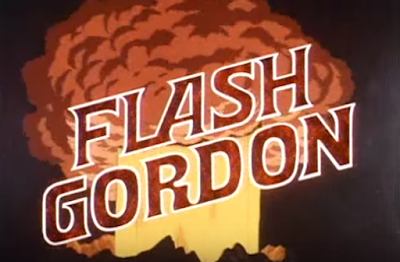 Too bad the dvd set for Filmation's Flash Gordon didn't include the movie version NBC aired during primetime. It's a better introduction to the series, as it reveals that Flash and Dale are from 1930's America. In the Saturday morning shows, we aren't sure exactly what time Flash is from. The film version also included Nazis. NBC execs might have thought it was better to edit that out for a Saturday morning series. Agree. The animated movie version NBC aired was great and should have been included. It is on youtube. 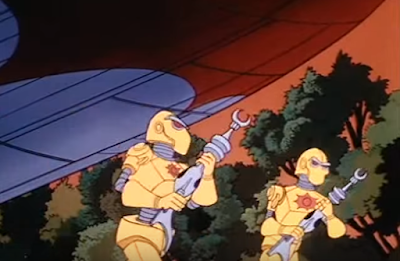 My only gripe with the movie cut of the Filmstion version is that it eliminates all but the core three alliance members. Well said. 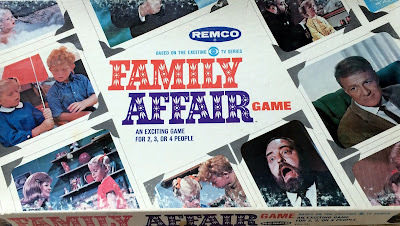 And there's that ultra-cool theme music; one of the finest 'Saturday morning' title tunes.